Although we had a warm spell in March with temperatures in the high teens, Calgary weather is famous for its fickleness and we knew we'd see more winter weather before spring was fully established. Sure enough we had snow and temperatures below zero today and over this past Easter Weekend! During the warmer weather I pulled some spring wardrobe items out of storage but knew that I needed to keep my winter gear handy as well. My closet was overflowing with different seasons and styles of clothing...none of which were organized. It was driving me crazy and making getting dressed each day a challenge. 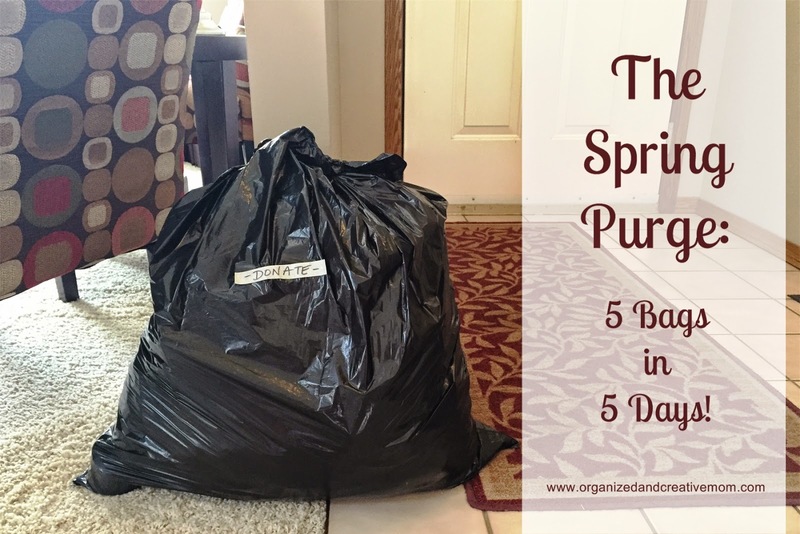 So Day 1 of my purge-a-thon was the perfect time to tackle the piles, sort out the seasons and hopefully fill at least one bag to get rid of! Is the color/style/fit flattering on me? Do I feel comfortable wearing it? Is it in good condition or does it need to be upgraded? Is it appropriate for my lifestyle and or the image/look I want to project? Here's the pile I ended up with this morning. 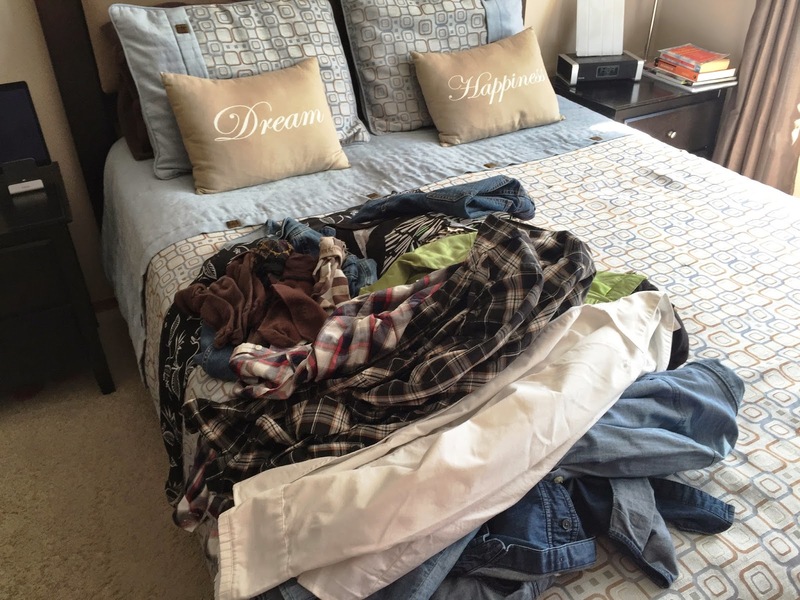 Since I've been doing this for several years now, I don't have a ton of clothes to give away each time I do a closet purge, but there are always a few items that have outlived their purpose or that I am ready to let go of. The keepers get hung up in the closet on nice slim line hangers in rainbow color order - Red, Orange,Yellow, Green, Blue, Purple. Yeah, that's the art teacher side of me. Or maybe its the obsessive side of me. Anyway...it sure looks pur-dy! I used to consign my clothes, but the small amount of cash I'd receive just wasn't worth the time and multiple trips to the consignment shop. I now simply bag or box up my clothes and drop them off at a charity drop-bin or at a local Goodwill or Value Village store. It makes me feel good knowing that someone will get good use out of the clothes I no longer want or need. I did pretty good...my closet is back in order for spring, and I ended up with my first very full bag to drop off later this week! Now how about you? 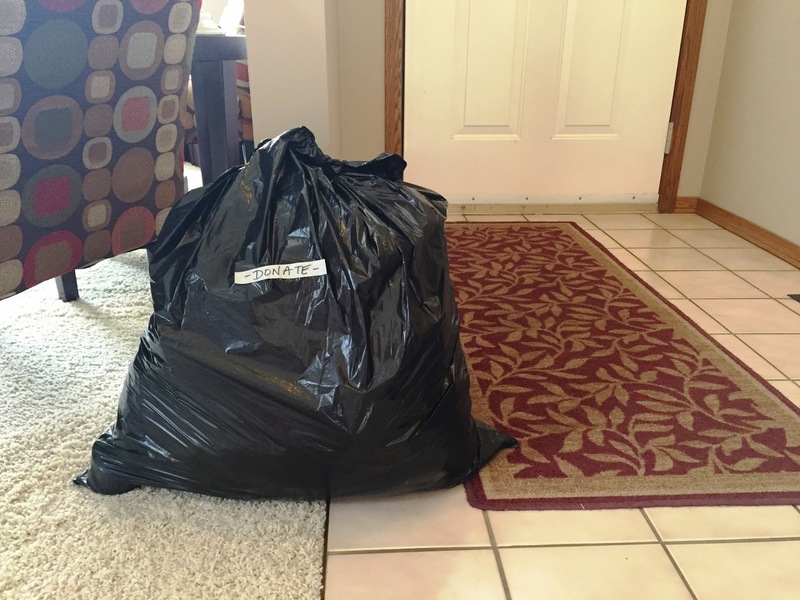 Can you purge one bag of stuff today? I'd love to hear in the comments how you get rid of clutter in your home! 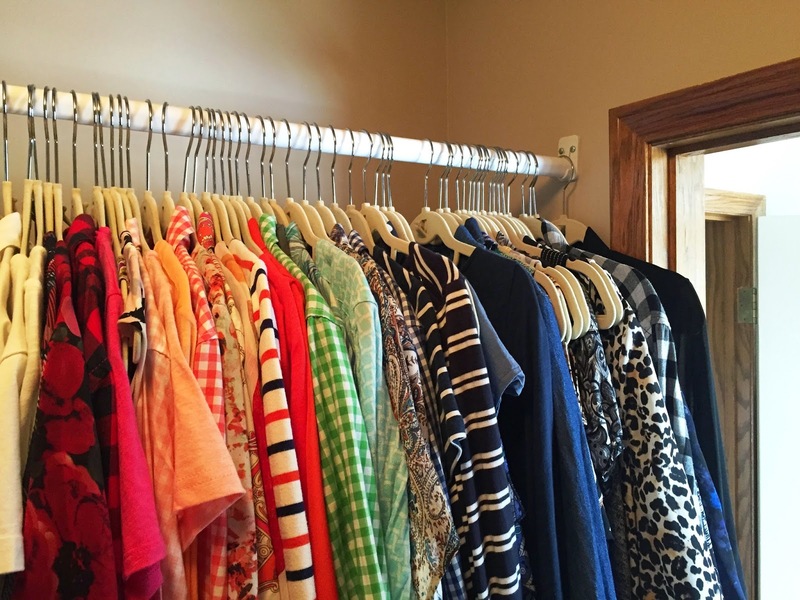 Join me back here tomorrow as I tackle my boy's clothes!